There were 2 posts published in June 2015. Here’s the full text of the verbal statement I made to the press today, in response to Justice Collins’ judgment. I wish it were Lecretia here today talking to you instead of me. Her fine legal mind would do a better job of interpreting Justice Collins’ judgment for you, and explaining his ruling. Her natural tact and grace would be better suited to delivering her feelings on the ruling. No matter how strong her view one way or the other, she would approach it in an understated way and with humility. But most of all, I wish Lecretia were here today talking to you because it would mean she was still alive. She died too young. She is hugely missed already and her family and friends feel an unbearable loss. She was a treasured wife, sister, daughter, aunt, and friend. She was an incredible lawyer, and an incredible person. We will miss her terribly. When Lecretia began down this path, she did so in her typically understated style. After watching a documentary on Terry Pratchett late last year, who sought death with dignity before he lost his mind to Alzheimer’s, she sent a note to her friends describing the positive frame of mind she was in regarding her upcoming chemo, and included a link to the video, saying “I may become active in this area.” Earlier this year she contacted Andrew Butler at Russell McVeagh and asked if he would be willing to represent her. That was when her case began. Lecretia knew that with her brain cancer’s growth being unpredictable there was a risk she might suffer before she died under conditions unbearable to her. She wanted to be able to choose to die at a time and manner of her own choosing, with the assistance of a physician. She wanted to squeeze out as much value and quality of her life as she possibly could, before she entered a phase of no quality, and of no value to her. In order to do that, she would need a doctor’s help to die. 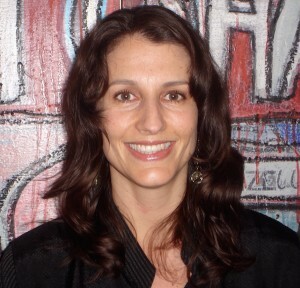 She knew that under New Zealand law, there was an assumption this was unlawful, but that it was untested in criminal law, and that the law could be viewed as ambiguous on this issue. Parliament had refused to deal with assisted dying in the past, so, inspired by the successful case of Carter v Canada, she sought to achieve her ends through the High Court. Lecretia sought a ruling in two parts. She wanted the High Court to declare that assisted dying was not unlawful under the Crimes Act, and that her physician would not be prosecuted if they helped her to die. This ruling was the only thing that could help her achieve the death she wanted within her lifetime without a parliamentary law change. If that were not possible, she sought a declaration that the Crimes Act was inconsistent with her rights and fundamental freedoms. This wouldn’t change the law, and it wouldn’t help her in her own circumstances, but she knew it might help compel Parliament to change the law and help others in future, who find themselves in a similar situation to Lecretia. After all, what happened to Lecretia could happen to me, or to you, or to someone you love. It could happen to anyone. Justice Collins provided an interim results judgment on the first part – the Crimes Act interpretation – on Tuesday so that Lecretia could be aware of the outcome and know whether she might lawfully access physician assisted dying. Sadly, Justice Collins declared in that interim judgment that a physician helping Lecretia to die in accordance with her wishes would continue to risk prosecution. On Tuesday night I relayed Justice Collin’s decision to Lecretia. I explained she would not be able to seek assistance to die, and nature would need to run its course, and that her mother and I would do everything we could to make her comfortable and pain free. We would accede to the wishes she had laid out in her Advance Directive and act out her wishes in accordance with the law. Lecretia listened to me as I explained the decision. Even though she couldn’t speak, she was able to share her feelings through her expression. There was no mistaking her response. She was hurt and disappointed. She fixed me with a stare with her good eye as if to say: isn’t this my body? My life? Her breath slowed and she turned her head away. Her reaction utterly broke my heart. Our hope turned to the second ruling – a declaration of inconsistency with Lecretia’s rights and fundamental freedoms under the Bill of Rights. As stated, this would not help Lecretia, but in future, it might help others. We have received that ruling in the judgment today and we are grateful for the efforts made by Justice Collins to release his decision so quickly. We are also grateful to the legal team who brought Lecretia’s case to this point, and to the Crown and the interveners for their contributions to the case. And as the debate has also played out in the media, we’re thankful that even those that didn’t share Lecretia’s views engaged in a robust and civil discourse which, though spirited, didn’t once descend into the personal. We were delighted to find ourselves in the midst of a mature and passionate debate, even as we vigorously disagreed on most things. We are dismayed by Justice Collin’s judgment. In some ways, I am relieved that Lecretia was unconscious and unresponsive when we received it, so she didn’t have to hear the news. Justice Collins found in our favour in relation to the evidence before him, but his interpretation of the purpose of the law meant he could not find aid in dying was available to Lecretia nor could he find that not having access to aid in dying was inconsistent with the Bill of Rights. Justice Collins found that while palliative care had made great advances, it was not able to relieve all suffering, including for pain and psychological and emotional suffering. He emphasised the importance of individual autonomy and dignity. He found that Lecretia was not vulnerable and that her wish to have access to assisted dying was, quote “a rational and intellectually rigorous response to her circumstances” unquote. He said it was important to ensure doctors did not make a decision based on their assumptions about people’s vulnerability as this would devalue respect for individual autonomy. 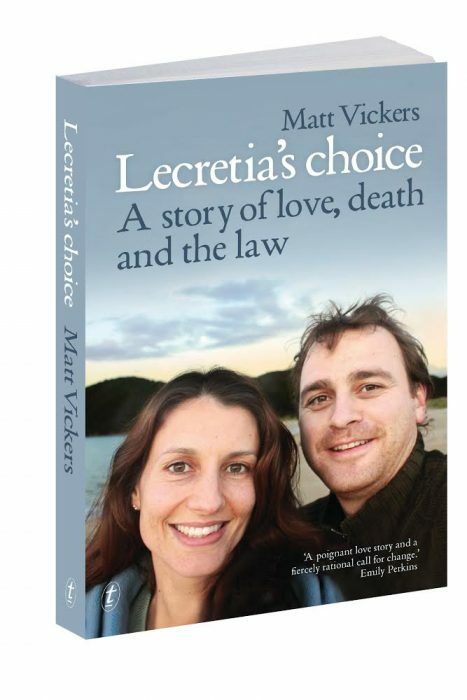 He found that without assisted dying Lecretia was put at risk of premature death through suicide, for fear that she would be incapable of doing so when her condition deteriorated, which engaged her right to life. He accepted evidence that, under the status quo, others who are terminally ill have taken their lives prematurely while they were still able to, robbing them of a longer life. Yet despite these findings, and acknowledgement of the potential suffering and risk of early death for those with a terminal illness, Justice Collins felt unable to grant the declarations Lecretia sought. A core reason was that, in his view, the provisions under the Crimes Act required protection of not only the vulnerable, but even for people like Lecretia, who are not vulnerable, and whose wish for assisted dying was a rational response to their terminal illness and potential suffering. He did so, based on his understanding of the New Zealand case law and notwithstanding that that approach to the law is not shared in other jurisdictions including the UK, Canada and South Africa. For us, as a family, it is terribly disappointing that the Judge was prepared to go as far as he did but not take this last crucial step. The judgment has starkly highlighted that the status quo is far from ideal; that people are at risk of intolerable suffering and are at risk of ending their lives earlier than they would otherwise. Although we did not get the rulings we sought, the judgment is very clear: the law as it is, is paternalistic, overly-protective and rooted in the past. It is not the law as it ought to be. Justice Collins was clear that it is for Parliament to address a change in the law. Through Lecretia’s efforts we now know the law. So Parliament now knows what has to change. The New Zealand parliament has twice voted down assisted dying legislation introduced via private member’s bill at the first reading, once in 1995 and again in 2003, preventing the proposed legislation from getting to select committee stage where the facts and overseas evidence could be exhaustively reviewed. This issue has not been given a fair hearing in parliament. In effect, New Zealand’s politicians have twice voted not to have a debate properly informed by the findings of a select committee. At the present time, there is no assisted dying bill proposed by the government or in the members’ bills ballot. Support for the legalisation of physician assisted dying in New Zealand has been consistently shown to be between 70-80% of the New Zealand public by various polls. That support has been reflected by the number of messages and good wishes Lecretia has received. We have received hundreds of messages from people from all walks of life and all political persuasions, supporting Lecretia’s cause. We have had messages from doctors and palliative care professionals and nurses offering their support but afraid to speak out for fear of angering their employers. We have had dozens of stories from people who have lost loved ones in awful circumstances and under substandard care – people who have needlessly suffered in the gap between palliative care’s rhetoric and its reality. We have had messages from young people who had never considered the issues before, but now have no doubt that this law needs to be addressed. 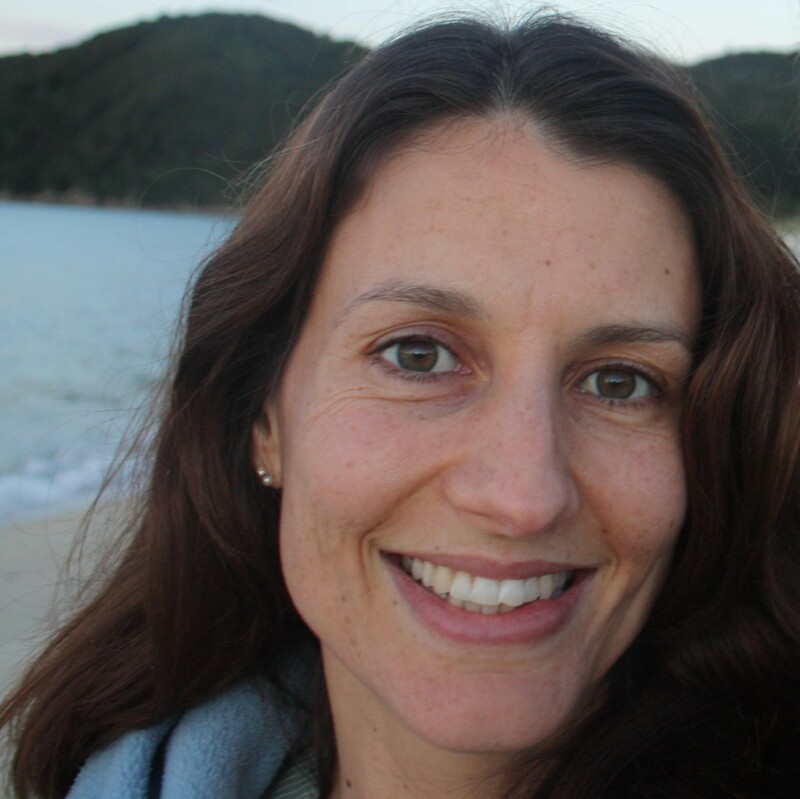 In the end, Lecretia was fortunate that her death happened quickly, and that she was cared for by some very fine health professionals from hospice and DHB. Others are not so lucky. Lecretia believed those people should have choices, and that the law should respect those choices and not tell competent, rational adults that they don’t know their own mind. She would not support a law change that endangers the vulnerable. She would support heavy penalties for those that would attempt to coerce or exploit the vulnerable. But she believed it is possible for a law to be crafted that protects the vulnerable, while not being overly protective of those who wish to make fully-informed choices about the end of their life. Let’s not give into fears and speculation and say it’s too hard. Let’s not say the risks are too great. We can learn from other countries – we do not need to panic over sensational stories from opponents – we do not have to copy those countries outright. But let’s not say people must suffer against their will because we’re afraid of change. It’s not impossible. We are not a nation of cynics. We are a nation of dreamers and we are free to have a vision and to build the nation we want. Lecretia and I are optimists. We believe the law can be shaped to do what we all want it to do. We must respect the autonomy and dignity of terminally ill people like Lecretia and say yes, we respect your wish to go your way. Anything else is paternalistic. Anything else says I know better than you. We do not have the unique perspective of the one dying. We can empathise with their suffering, but we cannot truly know it. None of us living has died before. None of us is an authority. None of us has all the answers. I say – let the person who is dying choose the manner in which they die. If they request help, and a doctor agrees to help, who are we to have laws to stand in the way of that compassionate act? The intent of both parties is to end suffering. It just so happens that sometimes, when that suffering is so great, the only release from that suffering is death. That is not murder. That is not suicide. That is mercy. I am calling on our 51st parliament to work across party lines to bring together a select committee to work through the issues and to hear from the public. The public reaction to Lecretia’s case has been huge. I am calling on our elected representatives to have the courage to debate this issue, to show a quantum of the courage my wife has shown these past months. I implore our Prime Minister, who only two weeks ago said publically that he would welcome a debate – to actually initiate that debate and to not defer it and wait for a private member’s bill which may not see it debated for months or years. This debate needs to happen now. Prime Minister, I urge you to give the public what they want and start the debate. I urge you to follow my wife’s example and to be a courageous leader. I urge you to lead on this issue. It is long overdue. Now is the time. Let us give Lecretia her legacy.